Traditional Explorers (Scouting) refers to using the original program and principles set down in “Scouting for Boys “by Lord Baden-Powell, founder of the Scouting Movement around the world. Lord Baden-Powell envisioned a program for youth that had leaders leading and encouraging youth, building their confidence and allowing them to share in the leadership. 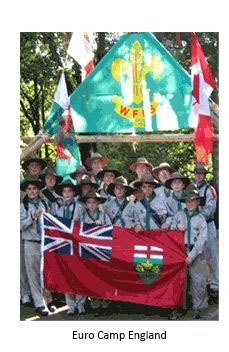 Traditional Explorers is committed to providing a well rounded program to all sections being run within the group. All sections within our group wear the complete section uniform that pertains to that section. All sections in our group are co-ed. Each section has its own badges, awards and manual. For more information on any section please click on appropriate link. Copyright © 2009 Brampton Traditional Scouting. All Rights Reserved.